We've been compiling some amazing Porsche models on eBay for nearly three years now, and we've seen some pretty astonishing cars pop up now and again. Keep in mind, some of these Porsches could be great collection investments, while others might prove to do more financial harm than good. I remain enthralled with the Cayman R, and it remains among the most communicative driving experiences I've ever had. While the 981 GT4 is ostensibly better in every way, the Cayman R is a fantastic Porsche that deserves more credit than it usually gets. This particular Cayman R is optioned a bit different from how I would want it, mostly because it's got PDK over a 6-speed, but with PCCB carbon brakes and the carbon bucket seats it's awful close. It's been well kept, and the miles are low. In the mid-$60s price range, would you rather have this glorious mid-engine wailer, or a run of the mill 964 Carrera 2? I know which I would pick. 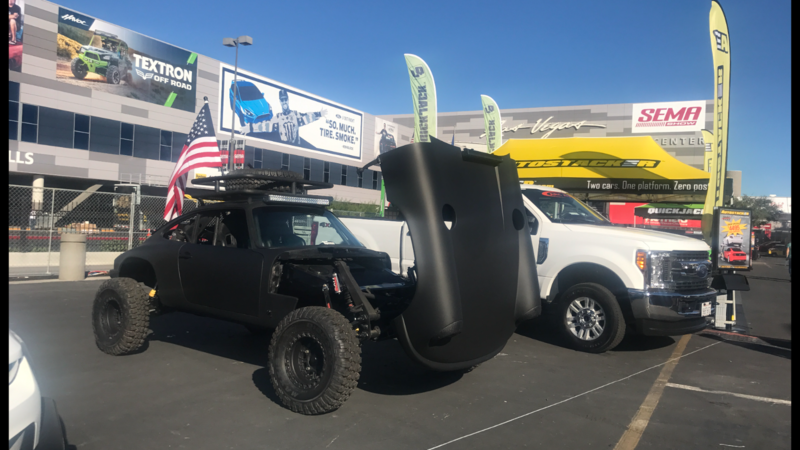 This car may look familiar to you, as it was recently featured on an episode of Matt Farah's One Take series on YouTube, and we brought it to you on this very site back in October. This is an incredibly capable car if you are looking for a fully custom car. The color is spectacular, as are the wheels, and the engine is absolutely to die for (or with, if you're not careful with the throttle). Andial was among the biggest names in Porsche motorsport engines, so it's no surprise that they built a gem of a motor. That same engine is the one Jeff Zwart used to win at Pikes Peak back in his 964 days, and you could win at life if you owned this one. Who doesn't need 600 turbocharged horsepower sitting behind them? This gorgeous black Flachbau is on offer from our good friends at Road Scholars, and it has quite an interesting story. The original owner of this 911, Don, was a bit of a collector, and when he passed away, Road Scholars had to work a deal with Don's estate to purchase the Porsche. As it turns out, they wouldn't let just the one car go, Road Scholars had to purchase his entire collection in order to get this one important and rare Porsche. It's got a couple chips and dings, but it seems a very honest Porsche to us. It's about as rare as you can get in mid-1990s German cars, and they don't come up for sale often. Do your due diligence on this one, but we'd recommend grabbing it while you can. 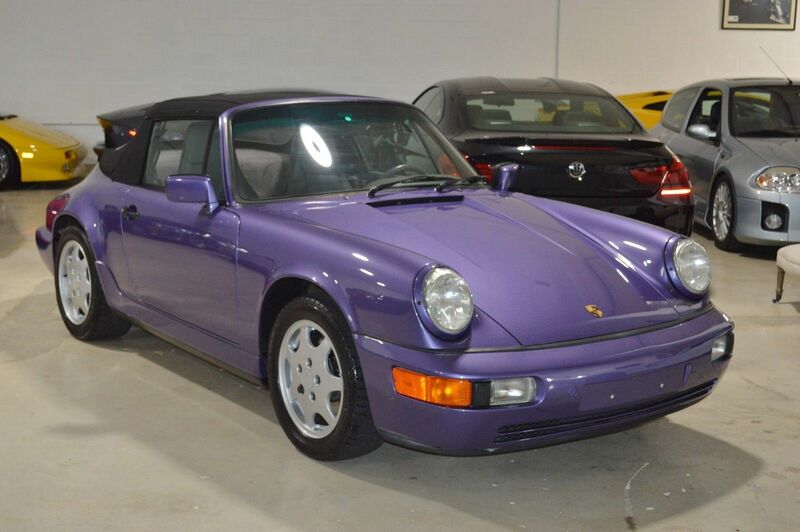 I can't explain why, but I am in love with this Violet Blue Metallic 964 Cabriolet. Personally, I prefer convertibles over coupes, especially for street use. There's just something about driving down a gorgeous fall back road with the top down. You can see, hear, and smell so much more of the environment without a top. It makes for a unique experience. It doesn't get much more unique than this 964, either. That paint color is exceedingly rare, and otherwise it's a low-mile nice-condition 5-speed Carrera 2 Cab that's worth a second glance. We had the... privilege... of seeing this car in person at SEMA. With a mostly fiberglass body on a 912 chassis and a wild built 2275 VW engine crammed in the back, this car looks like it would be some serious fun in the dunes. It is a terrible waste of an old Porsche chassis, but we have to assume that the donor was beyond repair to make this okay in our minds. In fairness to the $40,000 buy-it-now price, this car is fitted with some serious off road equipment, and we wouldn't be surprised to see it be quite a competent off roader when all is said and done. If this is your kind of jam, check it out.